Here’s how it works. 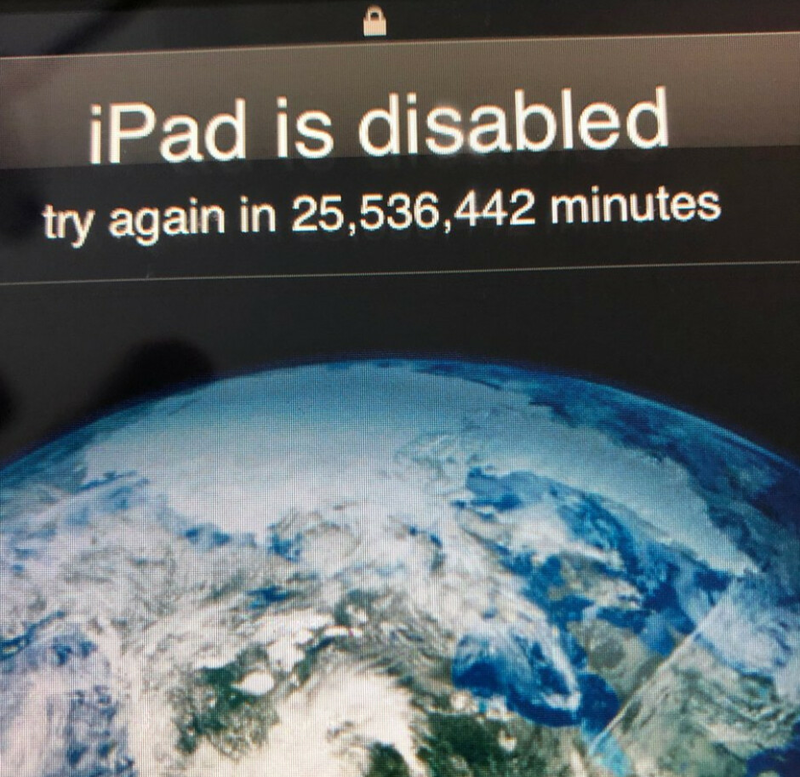 After six incorrect attempts to enter a passcode, an iOS device locks down and prevents any more attempts to enter the correct code. This is because iOS sees this as an attempt by a hacker to break into the device (known as a brute force attack). After six attempts, the number of minutes that the devics is locked continues to rise. Depending on the settings, after 10 incorrect attempts, the iPhone or iPad will automatically wipe all stored data. But luckily enough for Mr. Osnos, this is a scenario that Apple has seen before and it does have a solution. If he hooks up his iPad to a computer and connects to iTunes, the tablet can be restored. This replaces the data that was wiped with a file of backed up data. This is a good reason why you should backup your data often, especially if you have a curious toddler in your home.